LP version. 350 gram sleeve. Part of Sub Rosa's Early Electronics series. 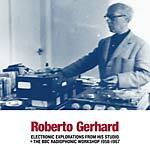 During the 1950s and 1960s, Roberto Gerhard gathered a significant magnetic tape collection in his home studio, creating a major repository of early electronic sound recordings of his own works. 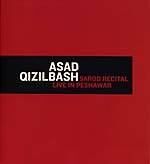 The pieces on this record present a complex set of challenges for audio restoration, requiring a complete understanding of his compositional process and allowing the spirit and vitality of his electronic work to speak clearly to the listener. The versions of the pieces you will hear on this record represent an attempt to present Gerhard's musical thoughts as free as possible from distracting technical deficiencies that obscure the musical content of the tapes. To this end a number of processes have been employed to reduce tape hiss and broadband noise, clicks, crackle, mains hum, tape splices and low frequency thuds, ranging from automated algorithms to a more painstaking manual clean-up of the audio spectrum. Every process of musical audio restoration must seek a compromise between the removal of elements that are problematic to the modern listener, and the preservation of the vital sonic and musical characteristics of the recordings. Roberto Gerhard (b. 1896; d. 1970) was born in Valls, Spain. Initially he studied piano with Granados and composition with Felipe Pedrell. When Pedrell died in 1922, Gerhard moved to Vienna as a pupil of Arnold Schoenberg. Returning to Barcelona in 1928, he became a central figure in the Catalonian avant-garde, befriending such figures as Pablo Casals and Joan Miró. Identified with the Republican cause throughout the Spanish Civil War, Gerhard was forced to flee to France in 1939 and later that year settled in Cambridge, England. Once in England, Gerhard produced a series of orchestra and stage works that would establish his international reputation. The Symphony (in memory of Pedrell), the ballet Don Quixote, First String Quartet, and the opera The Duenna followed in quick succession. In the 1950s Gerhard developed his musical style, synthesizing Schoenbergian serialism with Catalan folksong. These years also marked him out as the first composer in England to engage seriously with electronic music. Gerhard worked extensively at the newly-formed BBC Radiophonic Workshop producing a series of abstract electronic works as well as electronic music for stage -- most notably his score for the 1955 Royal Shakespeare Production of King Lear. The last decade of his life saw Gerhard's musical language evolve still further and the composition of late masterpieces such as the Symphony No. 3 "Collages" which includes a significant tape part, Symphony No. 4 "New York," the chamber symphony Leo, and the masterly Concerto for Orchestra.